The Days of Johann, an agility dog! : I'm gonna be a part of The Photo Book Projects to help raise money for rescues! 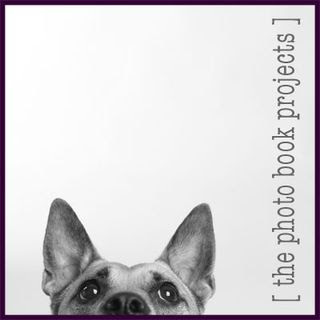 I'm gonna be a part of The Photo Book Projects to help raise money for rescues! Last year, we met a really cool photographer on Twitter, Melissa McDaniel. Melissa a a great photographer, and lucky for us, she's a big proponent of rescue. So she decided to try to do some good by educating people about shelter dogs, through her art. Melissa is traveling the country, taking photos of rescue and deaf dogs all over the US in an effort to put together two beautiful photography books with the goal of raising $300,000 for animal rescue groups around the country through her book's shelter/rescue affiliate program for The Photo Book Projects. RESCUED IN AMERICA - which will include moving photos and stories of dogs who were rescued from shelters or adopted from rescue groups, and lucky enough to find their forever homes. Over 50 dogs will be photographed from all across the U.S. will be profiled for this book. DEAF DOGS - which tells the truth about deaf dogs, dispelling the many myths that surround deaf dogs and cause thousands of them to be euthanized every year, through photos and stories of inspirational animals who never let their handicap hold them back. Over 50 deaf dogs from the U.S. and Canada will be photographed for this book. And guess what? Yep, on Friday, Melissa will be here in Indiana to photograph me to be included in the RESCUES IN AMERICA book! I can hardly wait. This will be my first every professional type of photo shoot, so Mum is just a tad bit nervous. Our good friends up at the Noblesville Square Animal Clinic, who have a super great room above their practice where they do some agility training, have graciously donated their space for us to get our photog on. Guess if I don't do well, there's always Kansas City job search, BOL! We've talked with my former shelter, the Southside Animal Shelter, and they are going to be selling the books through The Photo Book Projects affiliate program. If you'd like to purchase a book, click here so that my former shelter, The Southside Animal Shelter, will get $12.75 of the purchase price per book to help the pups and kitties! If you pre-order the books before the June 1st release date you also receive 15% off your order of $50, so the book would cost you $42.50, and $12.75 will go to the SSASI. Melissa has two more spots open for The Photo Book Projects if you'd like to enter her contest to be one of the super cool rescue or deaf dogs in the books. Here are all the details. Now the important stuff....guess I'll be getting a bath on Friday! I wonder if she'll hit Texas to see Louie and 'Callie'?